Trivandrum, Pothencode, within 6km from technopark 3rd phase, 150 cents of land for sale as whole or in division of 10 cents. A nearly square developed compound walled land in the housing area with one side street three sides houses. 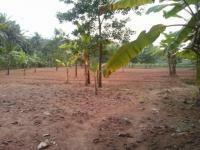 9 cent land surrounded by compound wall in KOVALAM, just 2km from International Tourist Centre KOVALAM.